‘The finest view in Europe’ – Surtees was right! 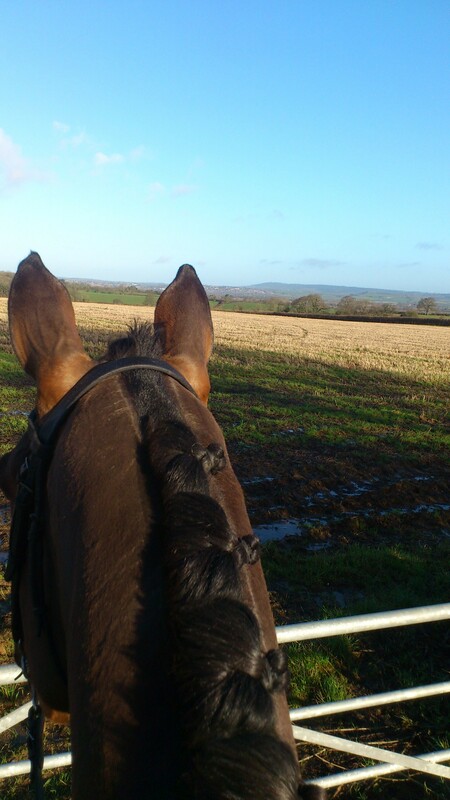 A beautiful sunny morning greeted the Blackmore and Sparkford Vale Hunt’s meet on New Years Day. You could see for miles across the Dorset vale country, and we had a lovely day hedge hopping despite it being a bit wet underfoot! Standing water in the gateways meant that extra vigilance was needed to minimise poaching of the farmers’ land. At the meet, the Master emphasised how lucky we are to be allowed to hunt on such lovely country given the current conditions. Without the farmers, there wouldn’t be any hunting! 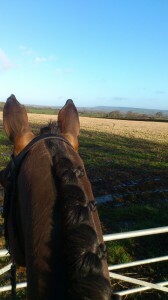 Much as Blackthorn & Brook’s hunting is a team effort, Ben and I both enjoy a day ‘flying solo’ once in a while. I think you can really enjoy your horse’s company, as well as that of the rest of the mounted field. 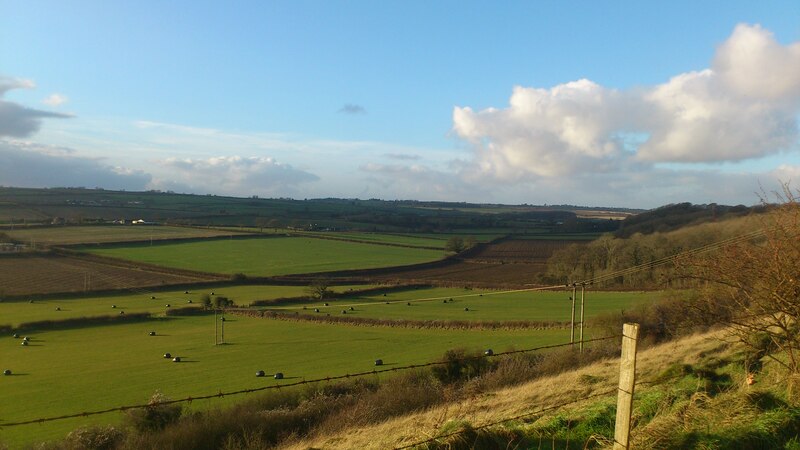 A lovely day to be out: looking north from Bowden in Dorset. With the first snowdrops being spotted in the fields – ‘the death knell of hunting’ – I have resolved to get as many days in as I can before the end of the season. Days like this remind you of how lucky we are to be able to get out and enjoy the countryside as we do, and it will be the end of the season before we know it. 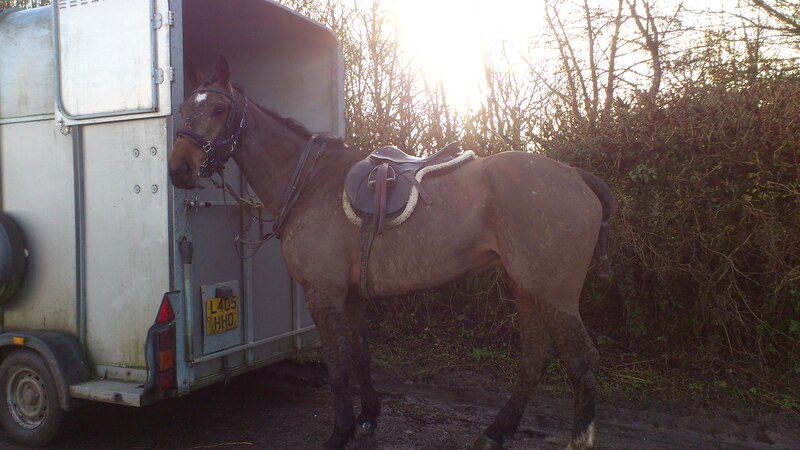 A very muddy hedge-hopper at the end of the day- what a good boy. I hope you have a very Happy New Year, and manage to cram in plenty of hunting, too before the end of the season!